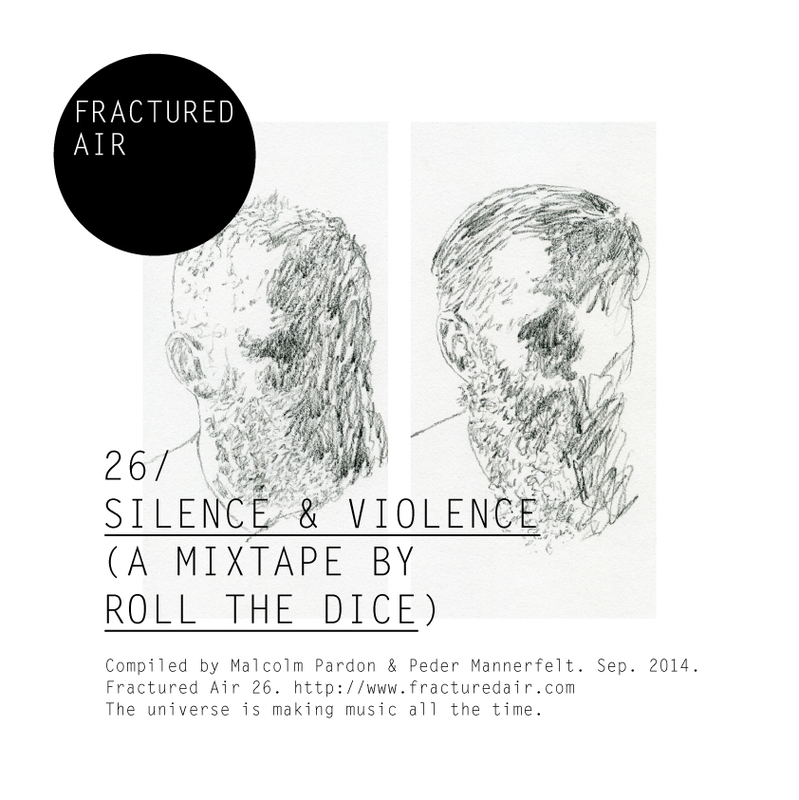 Roll The Dice comprise the Stockholm duo of Malcolm Pardon and Peder Mannerfelt, who released their hugely anticipated third LP this year, ‘Until Silence’, via the renowned UK-based independent The Leaf Label. ‘Until Silence’ sees a brave and intriguing shift in the duo’s sound (most noticeably with the addition of a 26-piece string section ensemble during the recording sessions with an even greater focus this time around on an intensity of emotion across an ever-expanding sound palette) while the conceptual framework of the album draws inspiration from World War One (the album’s title is inspired by a book on the period). 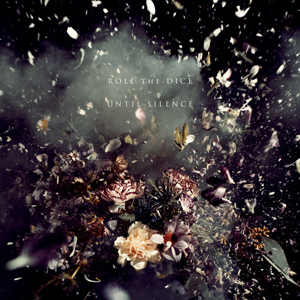 To date, Roll The Dice have released a trilogy of monumental albums, beginning with their self-titled debut LP (Digitalis, 2010); ‘In Dust’ (Leaf, 2011); ‘Until Silence’ (Leaf, 2014), confirming the Swedish electronic group as one of independent music’s most intriguing and compelling contemporary artists. ‘Until Silence’ is available now on all formats via The Leaf Label. Interview with Roll The Dice. Armed with a trilogy of utterly transcendent full-length releases to their name, Sweden’s Roll The Dice represents one of the leading lights of modern electronic music. The Stockholm duo of Malcolm Pardon and Peder Mannerfelt return with their highly anticipated ‘Until Silence’ record – released as ever on the trusted independent Leaf Label – which sees a broadened sonic canvas as the shape-shifting sonic creations are unleashed to new extremes (and possibilities). A unique blend of organic and synthetic elements are effortlessly fused by the Swedish pair, where a cosmos of haunting piano notes and captivating strings swirl majestically amidst an ocean floor of synthesizers and tape-worn analogue machinery. An emotional depth of colossal magnitude lies at the heart of Roll The Dice’s ground-breaking blend of electronic, ambient and drone soundscapes. The musical narrative of Roll The Dice is steeped in wonder and significance, having begun with 2011’s formidable self-titled debut which effectively conveys the duo’s early explorations through uncharted territory. A largely organic and warm feel permeated the headspace of the intimate debut, whereas follow-up ‘In Dust’ delved more into dark and contemplative territory with a darkened metropolis and its suffering inhabitants serving the album’s gripping foundations. Continuing naturally on from ‘In Dust’, a broadened sonic palette is forged on the latest opus that is more intense and hard-hitting than any of the duo’s previous output to date. ‘Until Silence’ is dotted with moments of tension, fear, frustration, anguish, pain but equally glimmers of hope, intense beauty and heartfelt radiance ceaselessly seeps into your consciousness. Pardon and Mannerfelt enlisted Erik Arvinder to work on string arrangements for several tracks, which were subsequently recorded with a 26-piece string section ensemble. 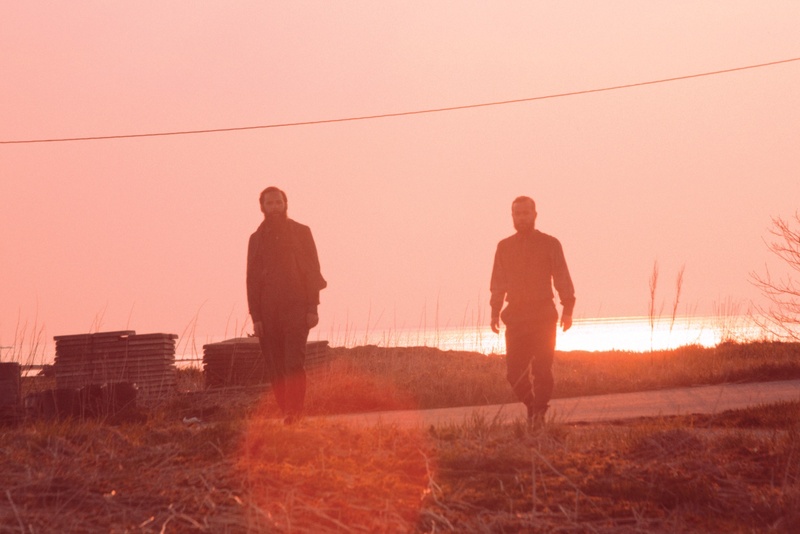 This sonic shift heightens every aspect of Roll The Dice’s immaculate oeuvre of life-affirming sound, as explained by the duo: “We wanted to push the music to extremes”. The album’s longest cut, ‘Assembly’ is a prime example where across ten minutes, a spectrum of raw emotion engulfs each and every aching pore of ‘Until Silence’s musical trajectory. An eerie tone is immediately cast as hypnotic single-notes of piano are repeated beneath hidden textures of analogue synthesizers. A string section gradually ascends into the mix that in turn, forms a sublime neo-classical infused, drone-like mood piece. The ripple flow of piano notes serves a returning motif throughout, evoking a fragile beauty and profound sadness. As the string patterns gradually build, a crescendo is reached as the layers of soaring strings attain new summits and tap into newfound dimensions. In much the same way as previous material, ‘Until Silence’ could be a music score to any array of silent films from the golden era of the 20’s and 30’s, such is the album’s enthralling narrative and intense emotion captured therein. For example, I feel the spirit of Swedish director Victor Sjodstorm buried somewhere deep within the pulsing heart of ‘Until Silence’s sprawling sonic canvas. The cycles of tension that encapsulates tracks such as ‘Time And Mercy’ and ‘Wherever I Go, Darkness Follows’ dispel a brooding darkness as a vivid sense of turmoil and devastation prevails. It is these extremes of the human condition that Sjodstorm’s ‘The Phantom Carriage’ and ‘A Man There Was’ examines as a harrowing, painful and devastating world engulfs the film’s central protagonists. The throbbing beats, hypnotic piano and film-score strings of ‘Wherever I Go, Darkness Follows’ evokes a similarly chaotic and brutal atmosphere. As the boundaries are disregarded and the duo masterfully push the sonic envelope to new pinnacles, the music journeys into the heart of darkness that results in a deeply affecting and breath-taking experience. The greater dynamic range is clear to witness. What follows the chaotic beats and bleak soundscapes are moments of sheer beauty and illumination (particularly mesmerising piano-led melodies of ‘Perpetual Motion’ and string-laden opus ‘Coup de Grace’). One of the album’s (many) defining moments is the tour de force of ‘Perpetual Motion’. The track builds on foreboding beats and analogue synthesizers that conjures up the sound of loss and resignation. Moments later, a stunningly beautiful piano-led melody drifts beneath the age-old machinery as a torch-lit lament is fully formed. A string section is added later, which melts into the stunning mix of synths and interstellar beats, creating in turn, ‘Until Silence’s enriching climax. The final two pieces, ‘Haunted Piano’ and ‘In Deference’ forms the aftermath of what came before. The slowly drifting piano notes of ‘Haunted Piano’ is steeped in grief-stricken sadness, further heightened by the gorgeously arranged string section. The album closer, ‘In Deference’ deals with the long-term effects of war and destruction as the organic and synthetic elements of piano, strings, synthesizers and analogue devices gathers momentum that forms a gateway into a new world, as lives are lost and irrevocably left behind. The harsh tones of pulsating piano evokes the painful memories of hurt and tragedy that were inflicted upon whilst the achingly beautiful synthesizer-led melody conjures up the sound of hope and solace that will forever remain. ‘Until Silence’ is a monumental body of work that not only represents a career-high for the Stockholm duo but a timeless masterpiece in contemporary music. ‘Until Silence’ is available now on Leaf. 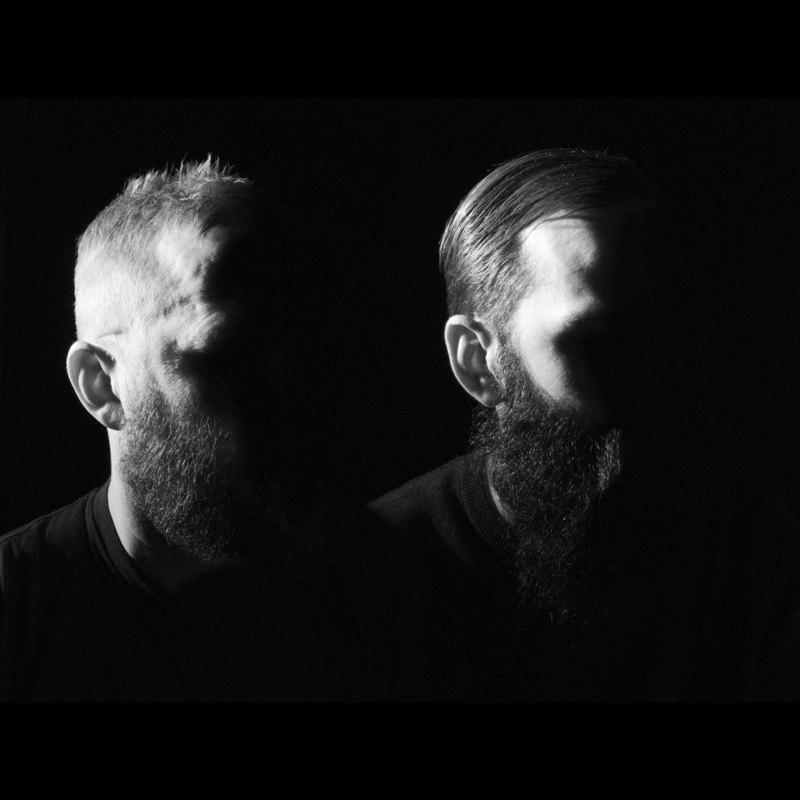 Interview with Malcolm Pardon & Peder Mannerfelt. Congratulations on the new album, it’s really incredible. I love how there is a new direction; it’s similar in ways to the previous two records but the narrative has changed, in terms of the ground you cover. Malcolm Pardon: Well I’m glad you like it. I’d love for you to discuss the aims from the outset, for example I love how there is an added use of strings on ‘Until Silence’, mixed with the usual piano and synthesizers. MP: Yeah, well we had an idea about kind of moving from these two characters on the second album, ‘In Dust’, they were placed in a kind of industrial scenario and so, on this one we tried to sort of, move them forward a bit in history and ended up somewhere around the First World War. And then at the same time, strings felt like an appropriate instrumentation for that period and that kind of drama. Peder Mannerfelt: Also to try to broaden the emotional palette you know, make it bigger. MP: And also, we didn’t want to add more synthesizers or more piano, we wanted to bring something else into it and so that was a good arena. Another wonderful hallmark of the album is the huge range of emotions. Similar to your previous albums too, I love how there is even more of a range between the soft, tender or more gentle moments to the more intense and chaotic moments. PM: Yeah that was the idea to try and broaden the horizon and get it to peak at both ends; more destructive and emotional as you say. MP: We felt on this one we wanted to be a bit more emotional, be a bit more dramatic at the same time you know. A bit of a bigger difference. PM: Pushing everything to the extreme. MP: The strings are always a good tool for the kind of emotions, you know. As a duo who create their own unique blend of music, I would love to gain an insight into the creative process involved? Is it usually a case of beginning with an idea or a piano line. It amazes me how you end up creating the music you have in the end. PM: Well to be honest we don’t really know either [laughs]. MP: It’s a bit of a gamble you know, for every good idea there’s a bad idea as well, you know. So we don’t really know anything until we start working on a song and that’s always the same. Try keep it, you know to have no pre-conceived ideas. Rather than just sit down and work on something, it might be like, if Peder comes up with a sequencer of some sort, I try to play along with that and so, we try to keep it sort of improvised. Obviously when we put it together it needs to be organized, you know. PM: The first sketches is getting something in, you know. Then if it sticks and it’s something that we can feed off each other and it kind of evolves, and this album was a long process and a lot of editing, layering, stripping back and arranging. We don’t really know what we started with or the original idea. I love the album-title itself. It’s similar in a way to the previous album-title but it’s a perfect title for the music. MP: Yeah, we usually don’t have the title until we have the sound, you know, really way up towards the end and this also came then. It just fits the sound in a way, you know. It has something that’s almost dramatic to it which we really felt especially. PM: Yeah, it continues until the end. MP: We really like looking around for ideas and there was like a book that someone wrote around the First World War — it wasn’t called ‘Until Silence’ but it was something really similar — which we had. We were toying around with phrases that came especially from that era and this is a mix of our own ideas and things that just came out from looking around the internet and stuff. I was very interested to read – I think it was in relation to ‘In Dust’ – how you work on the album like it’s one giant piece? MP: Yeah definitely and I think we both feel that every song needs to have a relation to the one before and you know, they work as a whole, like a narrative almost. Yeah and actually listening to your albums I feel it’s like those silent films from the 20’s or 30’s and that it could be a soundtrack to those kind of films. MP: Yeah yeah, that’s what we feel as well. That’s what we’ve been discussing, you know, it’s like we write a soundtrack to a non-existent film. It’s very interesting too as a duo, I suppose for you Malcolm, you have a background in the film-score elements and Peder is with the more dance or techno oriented sound. Well I’m sure there’s a cross-over between you both naturally but it must be cool having your own projects outside of Roll The Dice and feed it into the band then? PM: Everything feeds back and forth in what we do like everyday work or DJing or whatever, it kind of feeds back and forth. Yeah it’s nice to have that outlet together because we don’t usually work together on a day-to-day basis but we share the studio, if stuff pops up then we put it into the project. And do you know in terms of the instrumentation, I wonder did you begin your musical explorations with the synthesizer or was it the piano, or was it a bit of both? MP: Good question. To be honest, I can’t remember. I think probably we had a discussion about — this is probably like six years ago or something — we should try and do something together but then we both felt that if we were going to do something that none of us have done together with anyone else before, you know. And I’m not really a piano player and so that was one kind of first, to bring that into the world of the synthesizers and see if these two worlds can fit together. And we didn’t really think too much about it we just felt that the piano was an instrument that didn’t need too much assistance to make something work, you know. It’s not like a band with a guitarist and a bass player, we really wanted to keep it simple and the piano kind of melted in really nicely in that world. PM: One of the ideas from the start was to not have many beats, not to have it beat-based and the piano was really good as well. So the percussive, one note on a piano can sound really, really good. So it can be so much more than just a note, trying to use the most out of a few elements you know, that was the idea. That’s definitely what you get from the different albums. Like you were saying previously, on the new album it ends up being difficult to section different pieces because it does feel like one giant cohesive whole. I love how hypnotic the repetition of the piano notes, you know and this returns a few times. PM: Yeah, well that’s always been the idea to keep it really simple. Although this album doesn’t come across maybe sounding minimal but the ideas are quite minimal really if you narrow it down and listen to each track, there’s not a lot of different components going in, it’s like the piano and a melody line and a sequencer and that’s it. The only thing is that it sounds big with the strings and everything, it is kind of orchestrated in a way but it’s still very simple. I’d be curious to know more about your live show, is it just the two of you live as well? PM: Yeah, exactly; it’s the two of us with a bunch of things playing, and we’re working right now with a visual artist as well, a guy from Argentina — he’s going to do a live visual and that’s going to be really, really nice — to broaden to whole scope with that. MP: I mean we’re not bringing a string section with us obviously and we can’t bring a piano either so we use a Fender Rhodes with a distortion pedal so it’s more electric than the albums I would say and a bit more, kind of raw, which is great. You know it’s still the same tracks we’re playing and everything you know, it’s just a little bit of a different texture. PM: If no one stops us, we can stretch out the tracks pretty long. It’s really hypnotic for us when we’re playing as well; you get into it and twenty minutes go by without noticing it. MP: I mean the first gigs we did we wanted to play one track for the whole concert which we did, a track called ‘Undertow’ which we played for about fifty minutes for one concert and we really stretched it you know, forever [laughs]. But we can’t really do that now; we can but it’s more fun to play a bit more songs, you know. We play about five songs each gig and that’s about an hour fifty minutes, so they’re quite long tracks. I guess you must have a big gravitation towards gradual music and you get that from the recordings too how there is this space for the music to go in motion. PM: We always kind of do one track with an extremely slow build-up kind of, crescendo all the way until the end, and it keeps on building. What records have been big for you for the last while? PM: There’s one record I’m listening to by a girl called Klara Lewis released on Editions Mego a few months ago and Malcolm is really into that as well. MP: I like the new Swans album. Where do you see the next album going, in terms of the narrative, or is it too soon to say? MP: Well usually that starts materializing in about six months where we’ll probably know where we’re at. It’s a little bit too early yet to know. Who knows? Big band, Glenn Miller [laughs]. Yeah, our next album is going to be called ‘Big Bang’ [laughs].